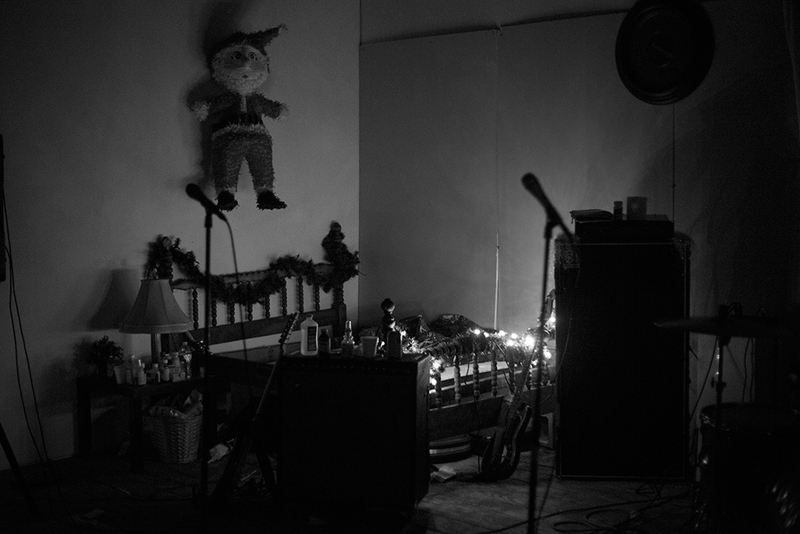 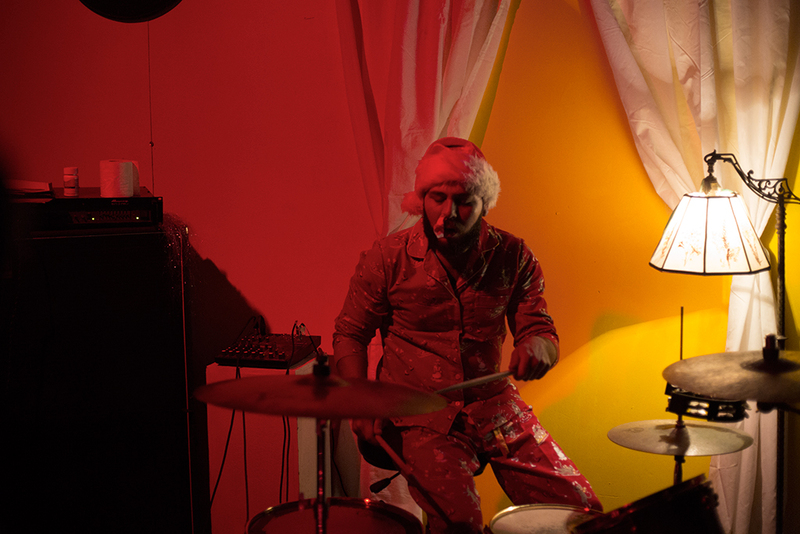 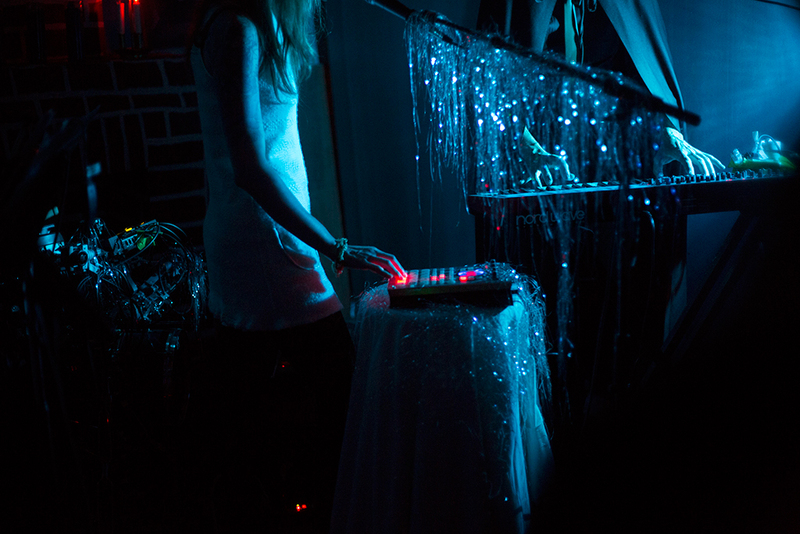 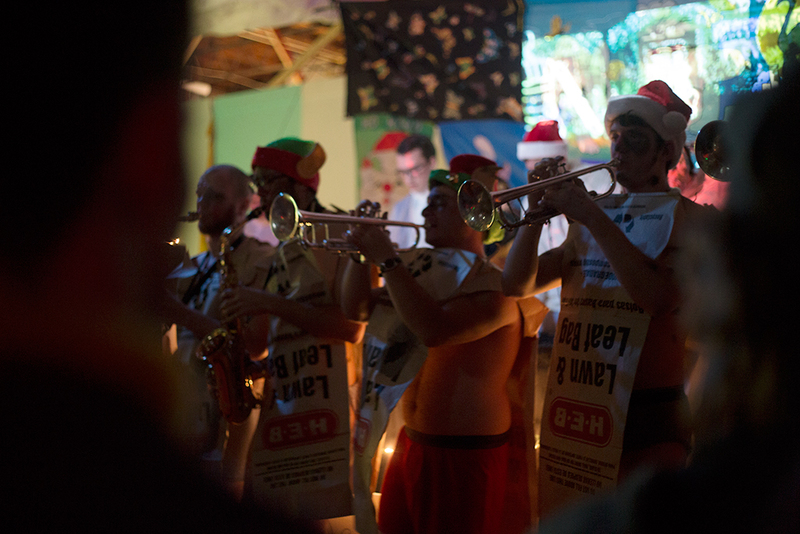 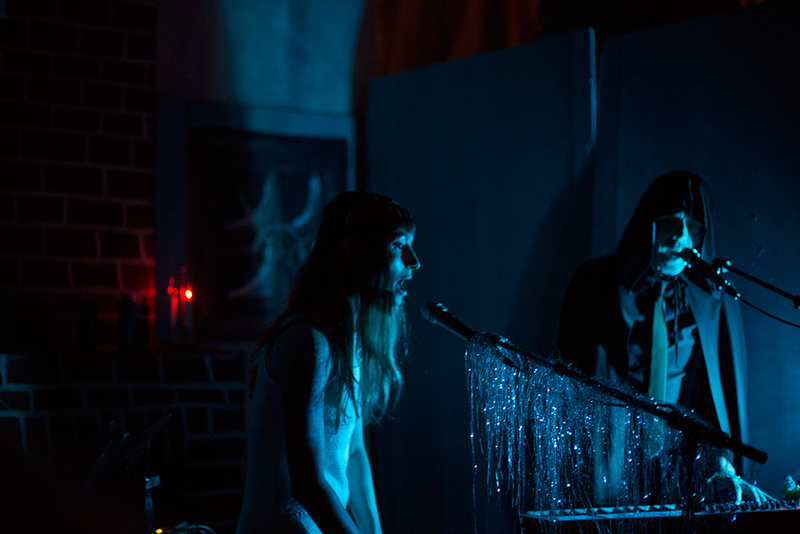 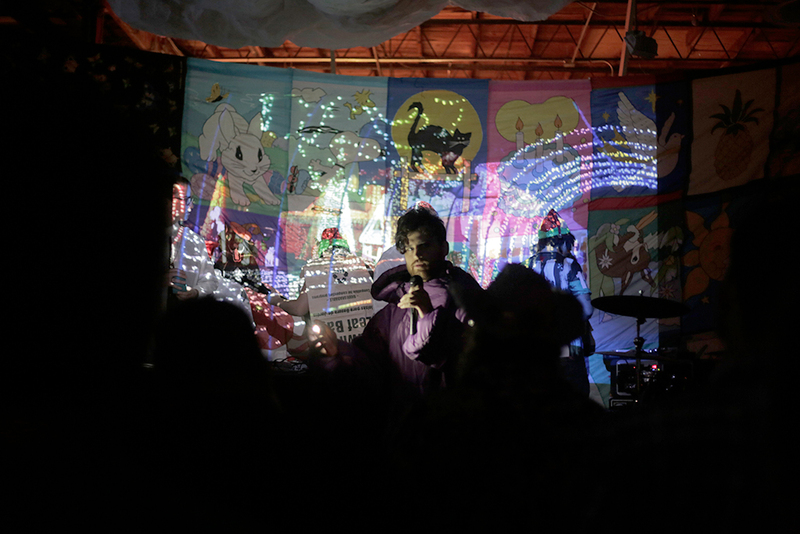 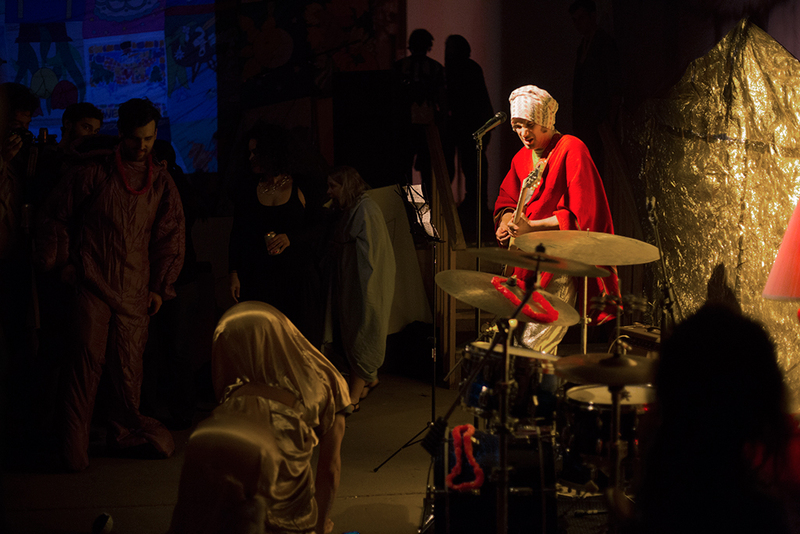 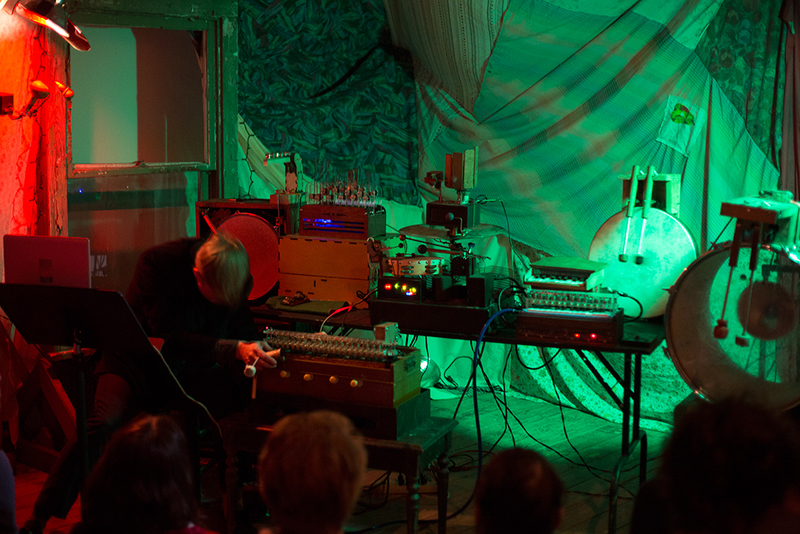 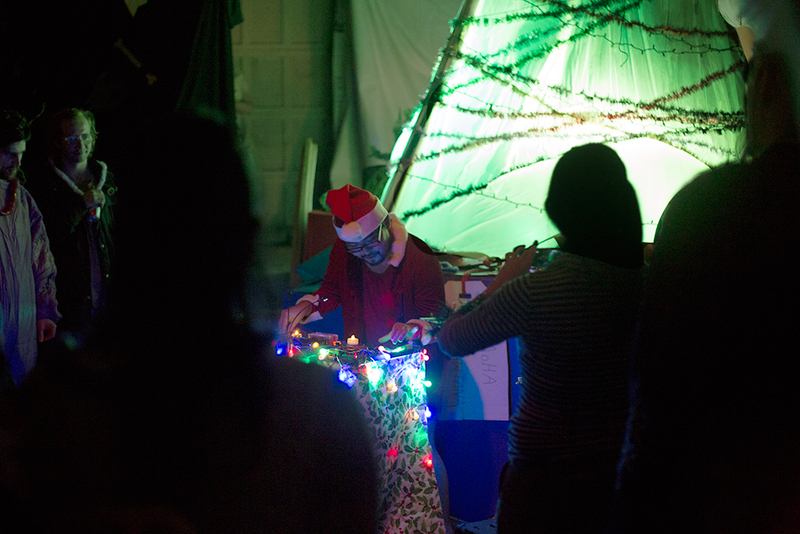 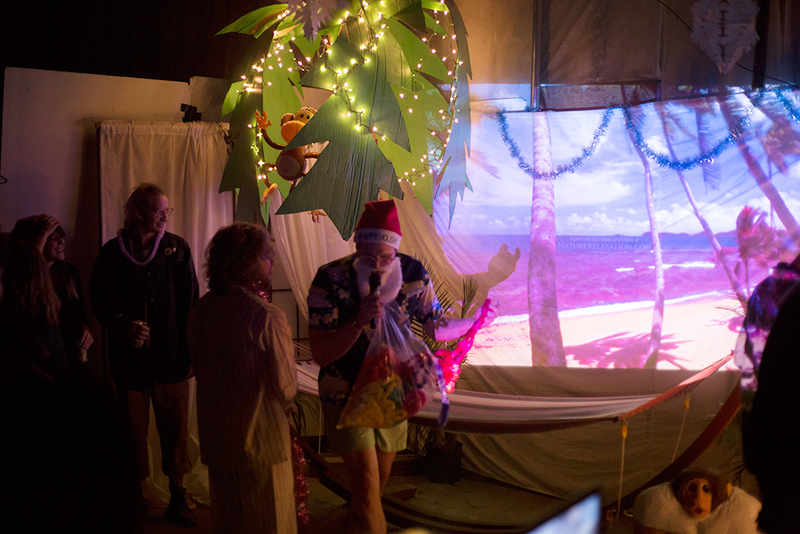 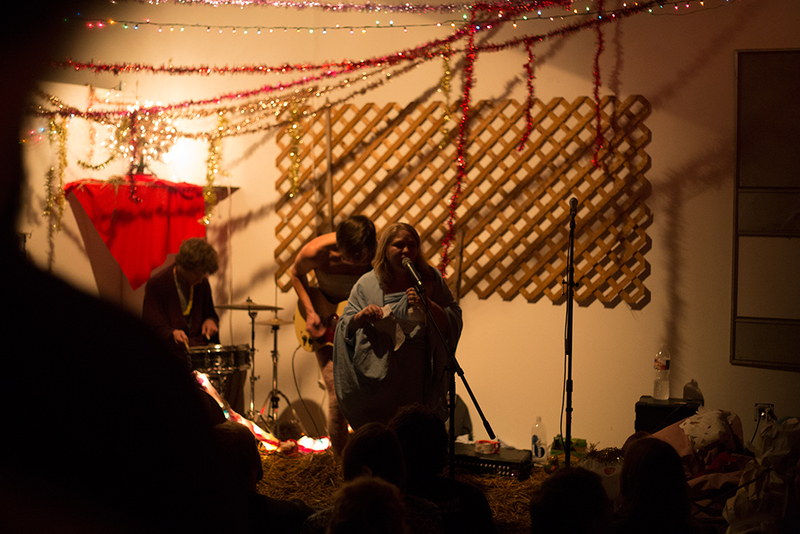 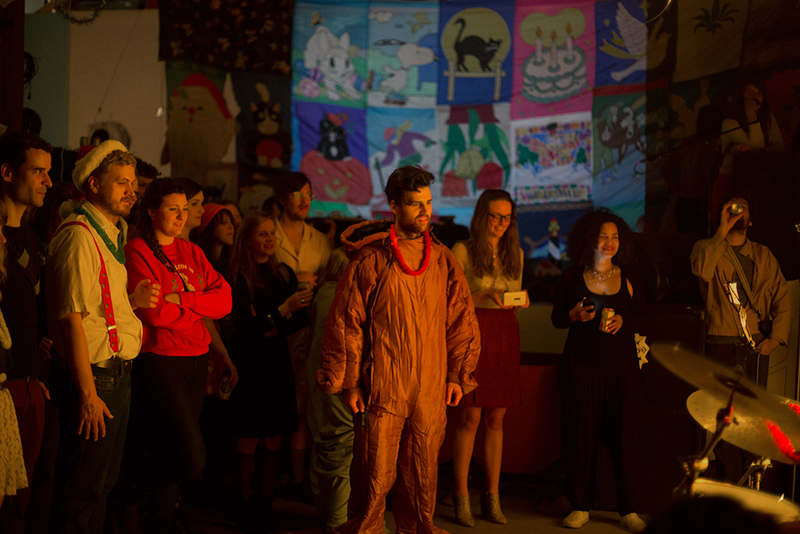 Fourteen Austin performers were transformed into a diverse range of characters from Christmas folklore, performing a micro-set of music as their character. 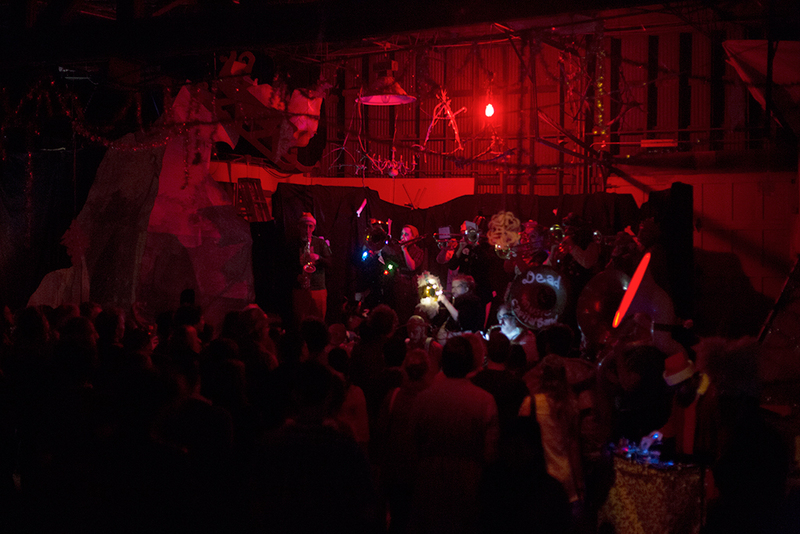 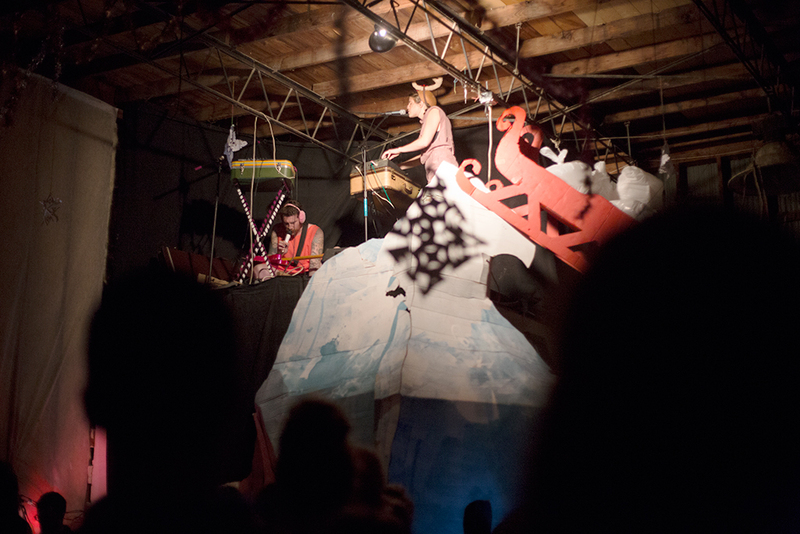 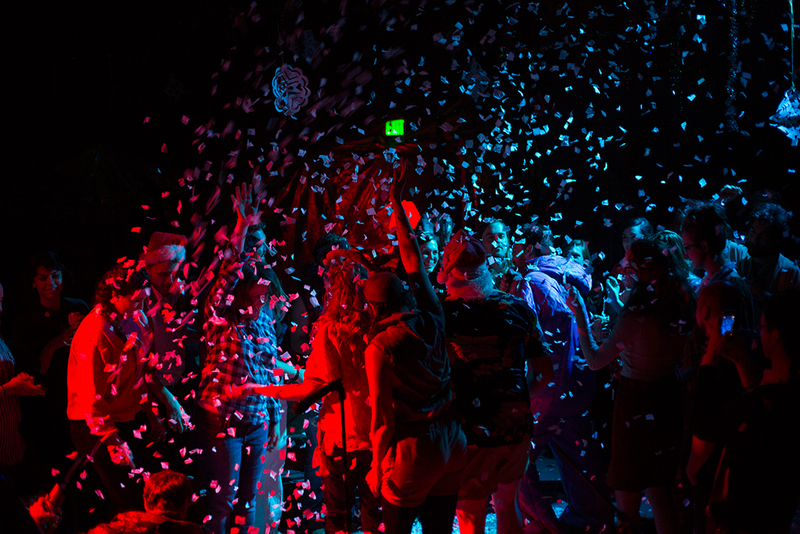 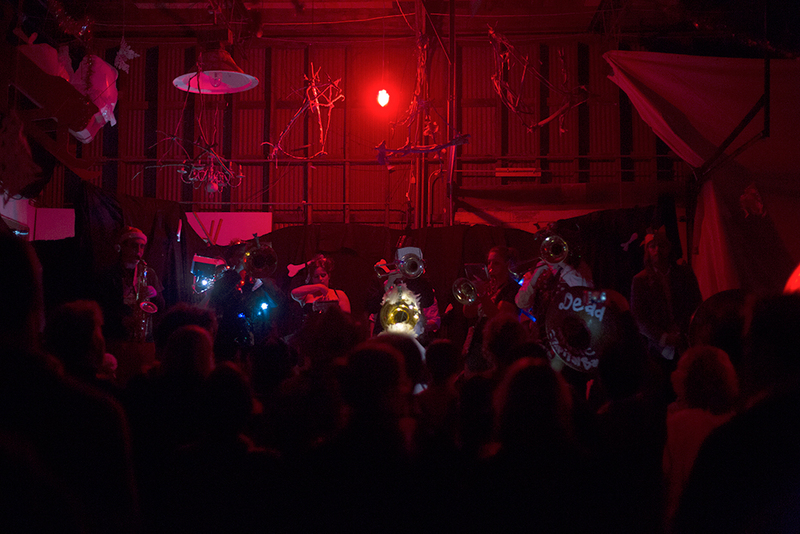 2014’s “Christmas Spectacular” featured robots, puppets and brass bands inside a giant winter wonderland constructed by Terror Pigeon. 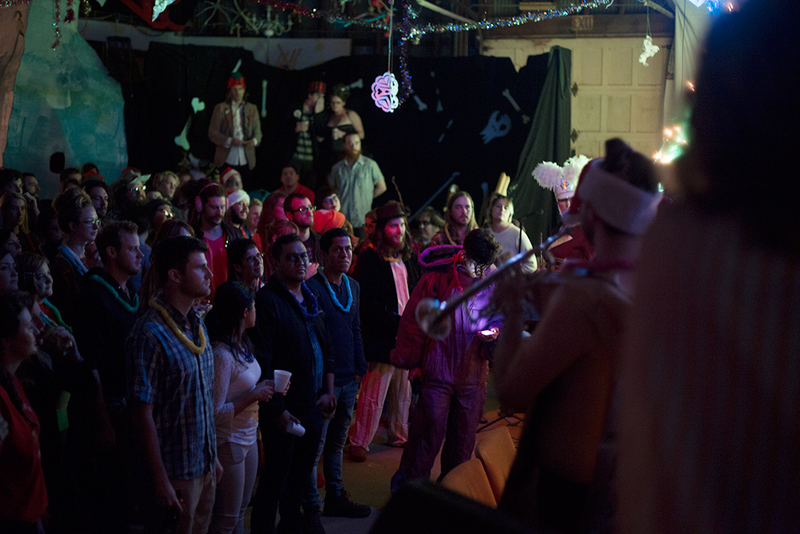 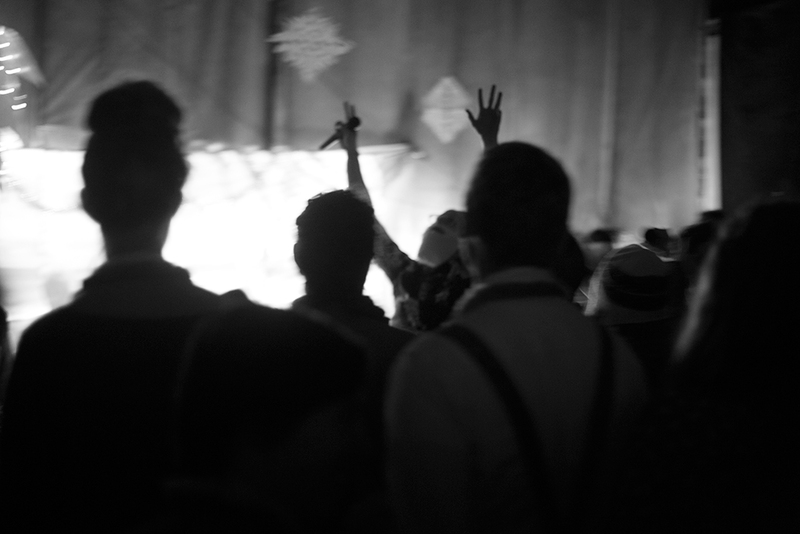 Each band performed back-to-back as the audience toured the fully immersive 7000 square foot holiday environment.